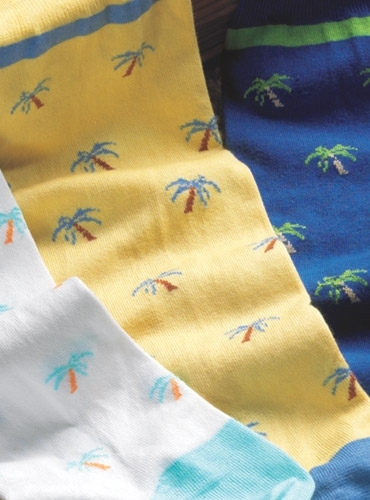 Our Sea Island cotton blend socks feature a bright and colorful Palmetto tree motif. 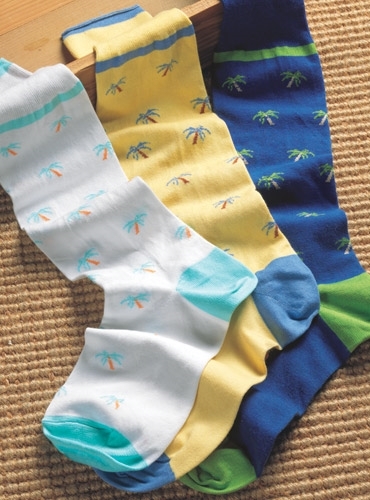 Shown from left to right: B-white with aqua; C-butter with cobalt; A-royal with lime. Over the calf, one size fits most.